Like James Blackshaw before him, Alexander Turnquist has taken the 12-string guitar and reframed its folkish twang into a dreamy cloud of harmonic beauty. 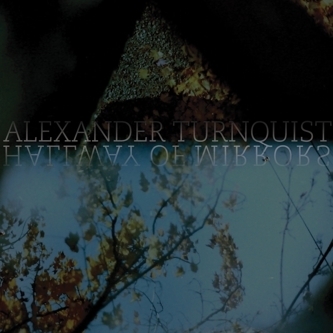 With Christopher Tignor on violin and Matthew O'Koren on vibraphone there seems to be enough depth to Turnquist's compositions to elevate the pieces into the realms he clearly wishes to be placed. There are nods to Steve Reich, Jack Rose and of course John Fahey, but it remains Blackshaw's influence that echoes resounding across 'Hall of Mirrors'. The shimmering notes, the restraint and Turnquist's sense of melody make listening a becalming experience; listen and sink away into the dense air.